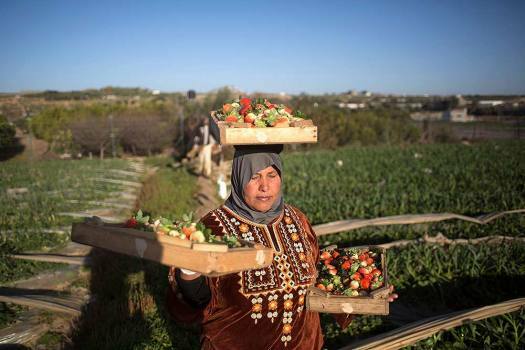 A Palestinian woman, employed by UNRWA, carries wooden trays filled with strawberries, at a farm, in the town of Beit Lahiya, Northern Gaza Strip. 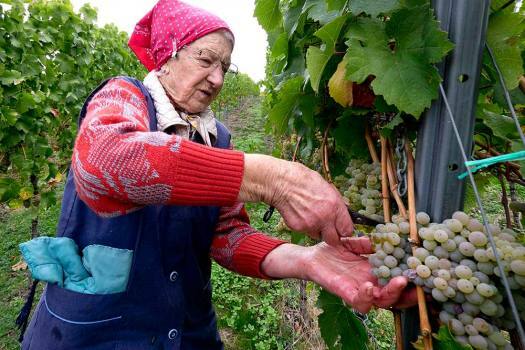 92-year-old Maria Lauxen cuts grapes in a vineyard near Bremm, Germany. 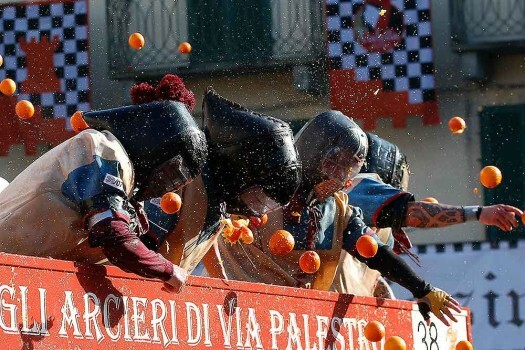 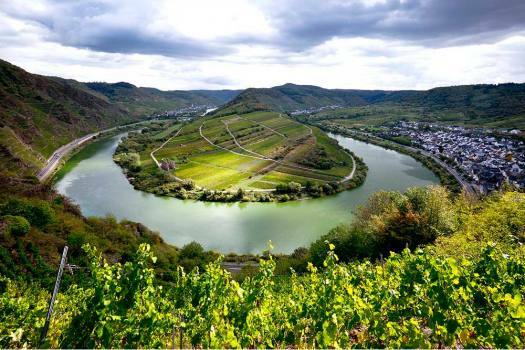 The slope is considered to be among the steepest in Europe, with inclines of up to 70 degrees. 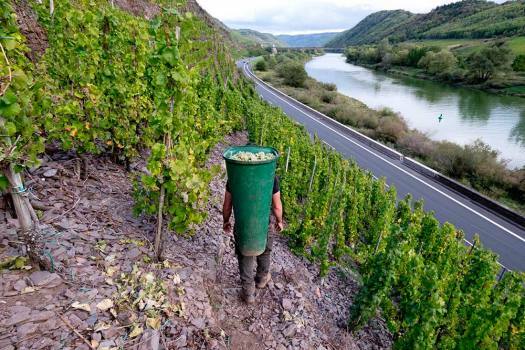 Winegrower Philipp Franzen carries a 40 kg heavy pannier with grapes through the steep Calmont vineyard over he Mosel river in Bremm, Germany..
Vine of the Calmont vineyard stands over the Mosel loop in Bremm, Germany. 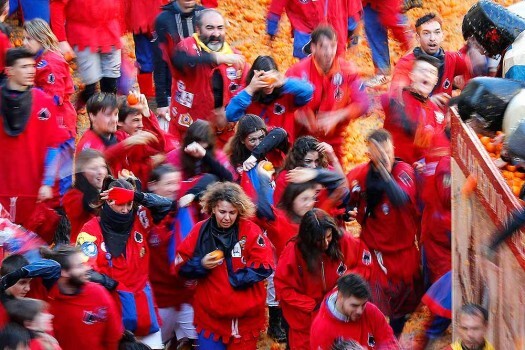 The slope is considered to be among the steepest in Europe, with inclines of up to 70 degrees. 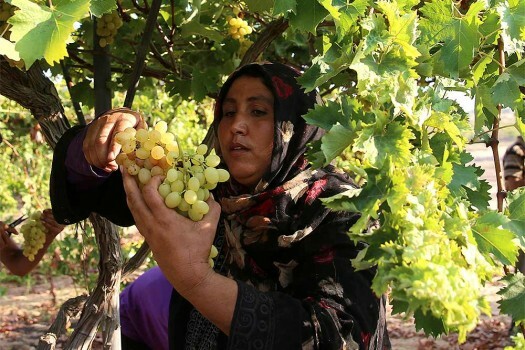 A Palestinian farmer picks grapes during the harvest season, in Gaza City. 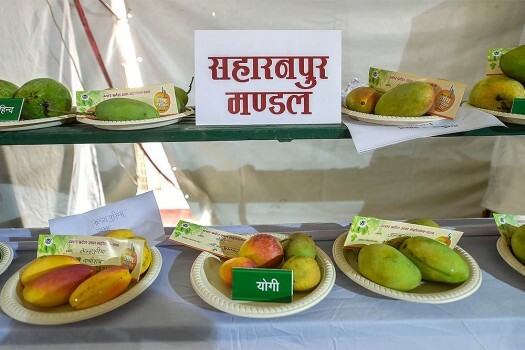 Different varieties of mangoes from Saharanpur named 'Yogi' put on display during the two-day Mango Festival, in Lucknow. 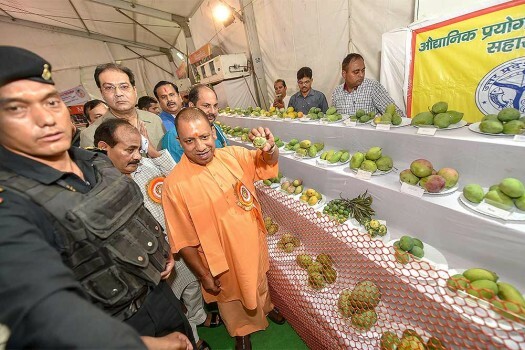 Uttar Pradesh Chief Minister Yogi Adityanath takes a round of the stalls after inaugurating the UP Mango Festival, in Lucknow. 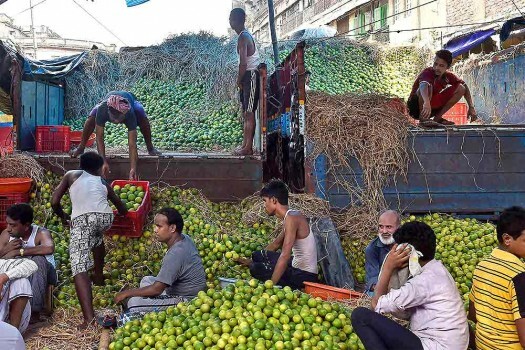 Workers unload fruits from a truck at a wholesale fruit market, in Kolkata. 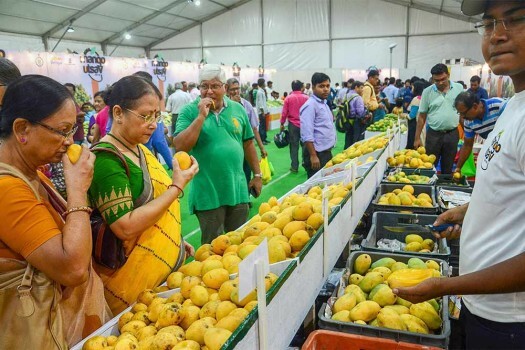 Visitors check the mangoes at a stall before buying them, after the inauguration of "Mango Utsav" at Rajarhut New Town city, Kolkata. 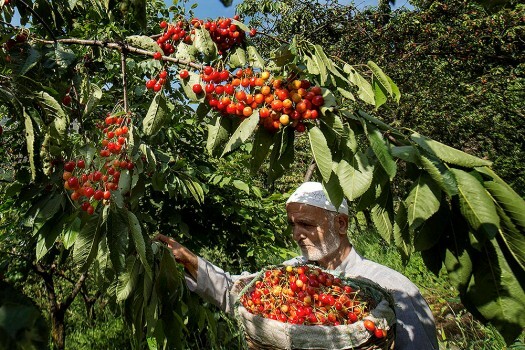 A man picks cherries in an orchard, on the outskirts of Srinagar. 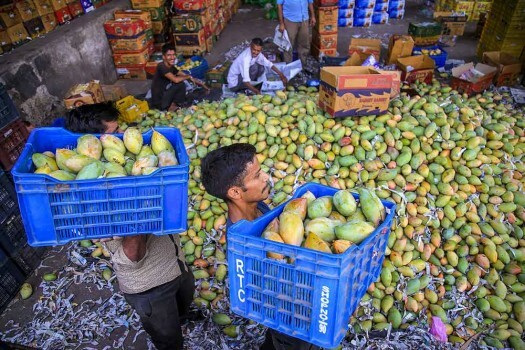 Laborers unloads boxes of mangoes at a wholesale fruit market in Jammu. 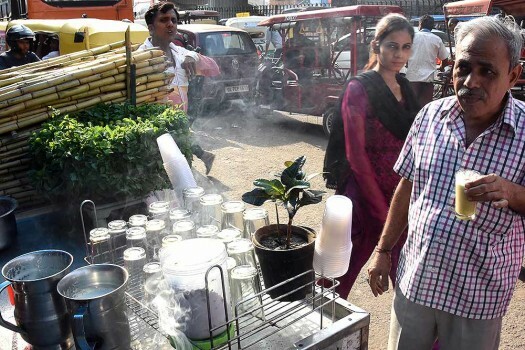 A man drinking sugarcane juice by the roadside to beat the heat, in New Delhi. 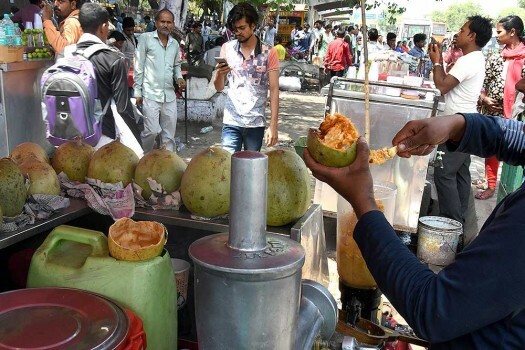 A street vendor makes Bel Pana or Wood-Apple juice near Safdarjung hospital in New Delhi. 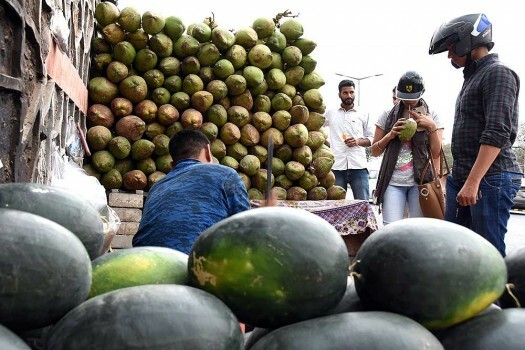 A vendor sells coconut water and watermelons at Shankar road in New Delhi. 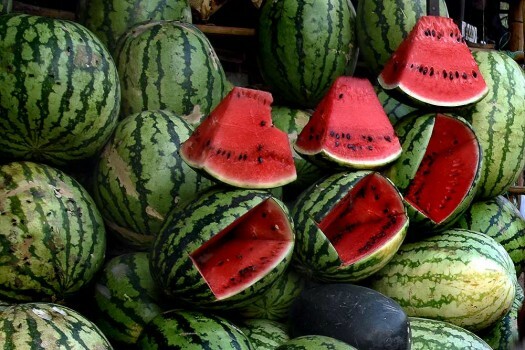 Watermelons for sale near old Iron Bridge, Old Delhi. 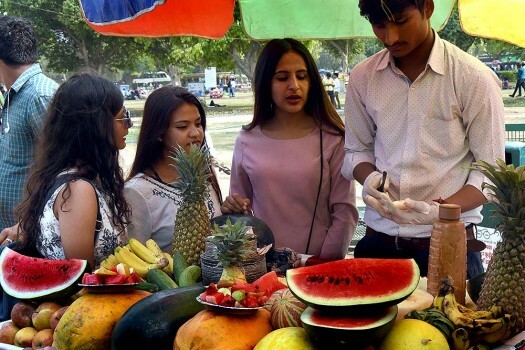 A vendor sells freshly cut fruit salad at India Gate in New Delhi. 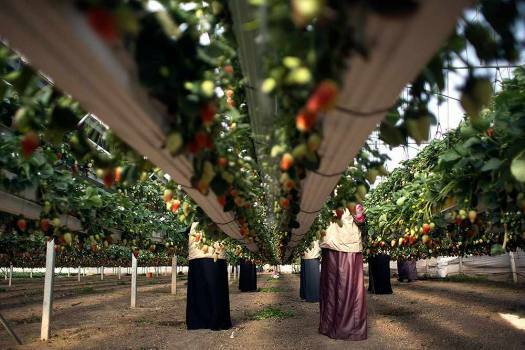 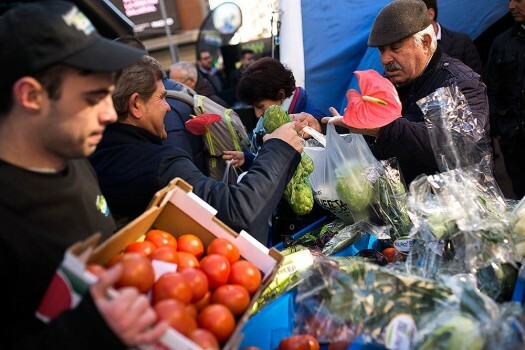 Authorities are probing more than 100 reports of people finding needles concealed within strawberries and other fruits. 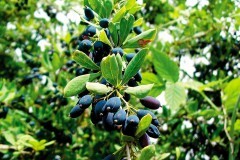 The state government will make an official declaration in this regard on March 21, based on a proposal of the Agriculture Department.